Carnelian, the healing stone, accompanied the dead - at least that's what the Egyptians thought.. The Egyptians were known for their pyramids and their staunch belief in afterlife. The concept was strongly ingrained in them that they used to bury all kinds of supplies with their dead, lest they should want anything in the other world. Jewels, stones, food and even clothes were given. One of the most important stones that accompanied the dead in their journey in the other world was Carnelian. The Egyptians believed that this stone could not only aid the soul in its perilous journey but also protect them from all that was evil. Besides helping the dead, this healing stone helped the living in getting rid of emotions such as envy, jealousy and anger. It was also known to help people fight battles with courage. In the modern world, it is believed that this stone can help in cleansing other stones. It also aids in the restoration of health, vitality and helping the person to live more in present rather than the past or the future. It helps people to choose according to their life plan and also promotes an acceptance of death and the entire life-cycle. It helps people to strengthen their trust on their intuition, themselves and fight all kinds of abuse. 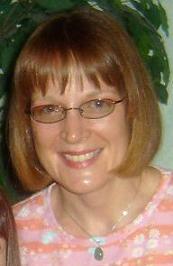 It helps people to become bold and eloquent speakers and become courageous and bold leaders. This stone also aids in attracting abundance and is known to help in attracting success in all kinds of business and other endeavors. A member of the Quartz family (sand! which is a micronized mineral makeup ingredient), this stone has a trigonal structure and is found all over the world, from Brazil to Africa, Australia, USA, UK and many European countries. However, some of the finest stones are found in India, Uruguay and Brazil are known for producing the maximum number of stones. 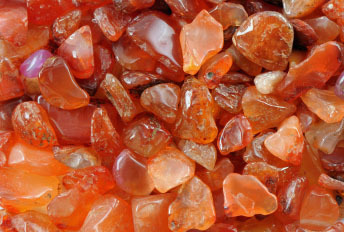 The name "Carnelian" is derived from a Kornel type cherry, which is orange in color (colors have meaning too!). Some of stones when treated with heat can turn into deep red color. The word Carnelian actually means "flesh". Physically speaking, Carnelian is one of the most popular stones that can help in strengthening and fortifying the physical self. It helps in removing blockages and promoting the free flow of energy through the chakras. It helps people to understand that though spiritual evolution is important, physical well-being is vital for attaining spiritual enlightenment. It helps in detoxifying the body, particularly in cases of drug or alcohol abuse. It also works well to heal problems concerning testes and ovaries. On the spiritual plane, this stone helps people to take matters into their hands, stop procrastination and fear. It's a stone that aids in realizing the highest dreams and goals of an individual. Emotionally, it banishes all kinds of fears and doubts. It helps people to understand that change is the only constant thing in the world. This stone works well with other stones like Chalcedony, Jasper and Quartz. It represents the fire element and mainly works in balancing the solar Plexus or the 3rd chakra, sexual or the 2nd chakra and the root or the 1st chakra. It is associated with the number six and vibrates with zodiac signs Scorpio, Leo, Cancer and Taurus. This stone is ruled by the sun.